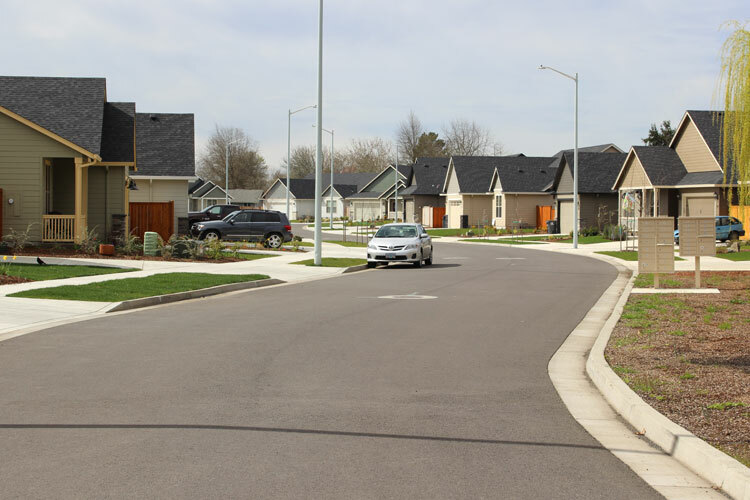 This West Eugene residential subdivision was designed by Branch Engineering. Our services included Civil Engineering, Planning and Surveying. It included preparation of improvements plans for a meandering City street serving 23 residential lots.